Let’s start by looking at old text books. The text book of [Automotive engine engineering] has a chapter of muffler design. The answer is based on the engine speed, cam profile, and exhaust temperature etc. The text book formula gives the values and specification of the exhaust that fits with the vehicles cam performance. For example if the engine was the same, the exhaust giving a higher performance would be questionable depending on the situation. The gamble racers for example are equipped with single cylinder HKS engine with high acceleration cam, hard valve spring, and with a short muffler. The power characteristic of a gamble racer rises quickly and drops quickly unlike most motorcycles. 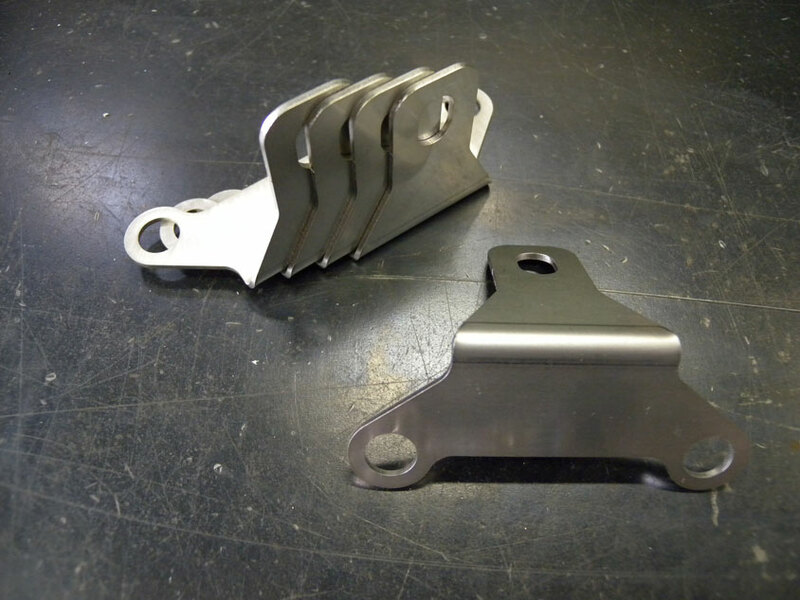 In a practical riding situation of a gamble racer, the motorcycle decelerates by instantly closing the throttle with the support of short exhaust and hard valve spring. This method instantly decelerates the engine speed. Soon after the deceleration of the engine, the rear wheel enters slide and controlled by using a counter steer; this is essential for these motorcycles to turn. Since gamble racers are not equipped with brakes, the throttle work is essential. For these types of machines, the short exhausts are most practical configuration. The single cylinder racers from WM in 1980’s were equipped with long pipe muffler based on the formula. In racing situations, the peak engine power is needed to overtake the rivals and approach the corners smoothly with braking. The single cylinder engines has a low RPM limit. To increase the peak power of the vehicle, the cam profile is adjusted for high RPM which is completely different from gamble racer. The single cylinder racers are more suitable longer exhausts. The single cylinder vehicle’s exhaust pipe is adjusted and matched to the RPM that is used often during the riding situations. 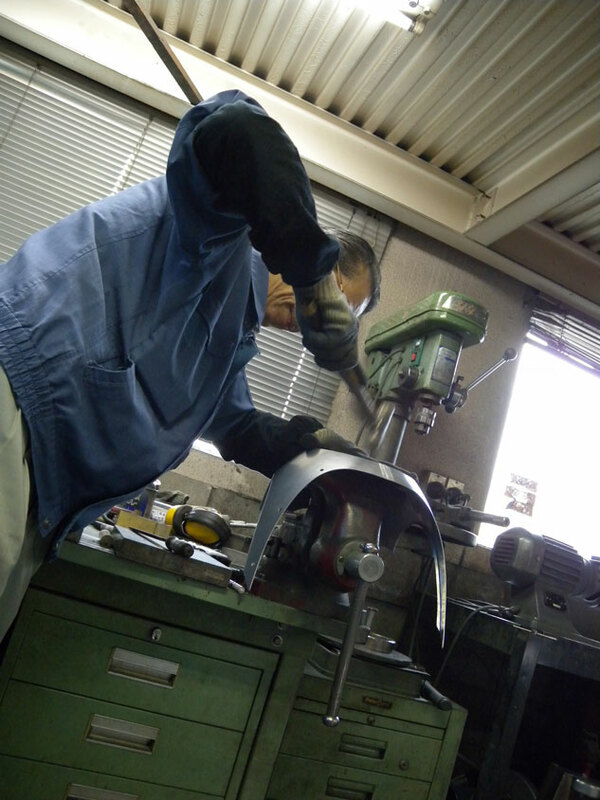 To achieve the peak performance, the length of the muffler was determined from the beginning of the development. The performance characteristics was great and with 2008 SR400 (427cc kit + WM Campton) and raised the peak power by 5PS. 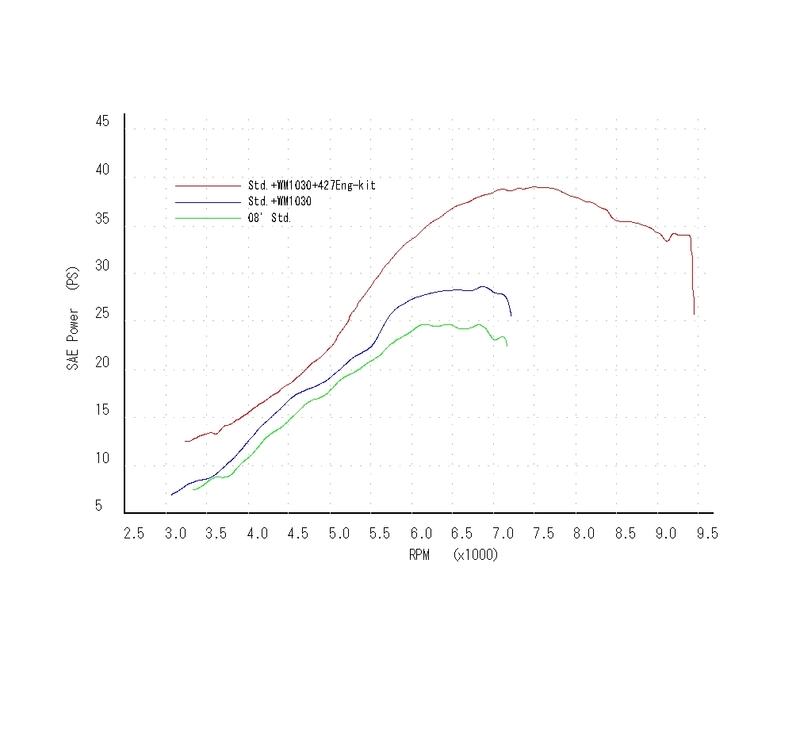 However, the low speed and mid speed range lost performance due to thick front pipe. This is where the engineers come in. 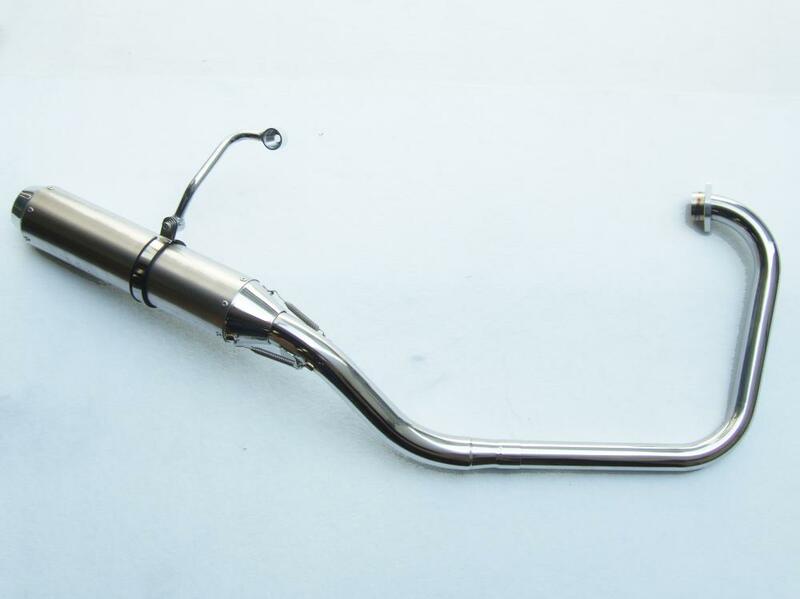 The front pipe dimension is changed by few millimeters and after 50 sets of mufflers are tested; the exhaust pipe spec was finally decided. The performance curve reached the highest performance within 4 decades of WM history. With the 67.2mm 400cc crank tuned engine, the vehicle itself reached over 38PS and powerful even if the engine is overran. To reach the performance goal, there is an important factor. The silencer structure adopted by WM is based on the European sports single and American twin cylinder based vehicles. These silencer structures usually consist of the straight punching + partition. Since these vehicles had closer horse power, the mufflers matched well with the WM’s target vehicles and the exhaust sound was attractive. 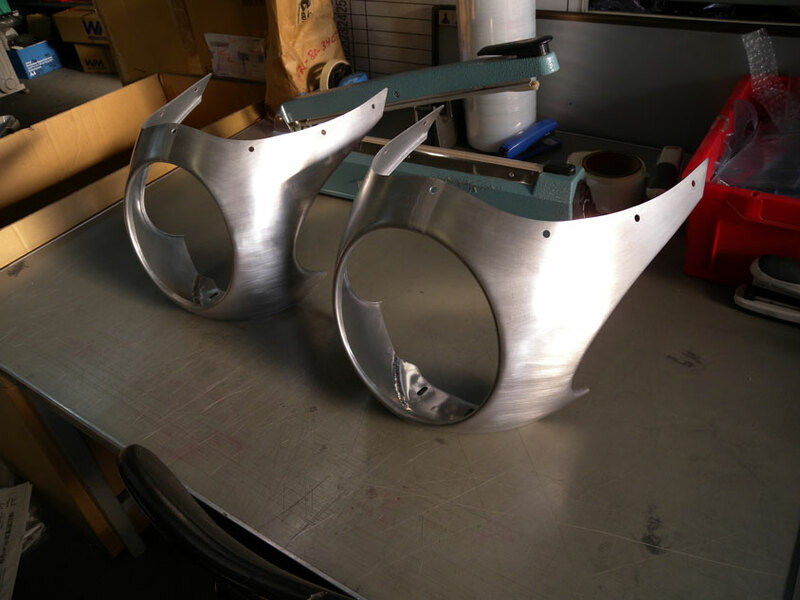 However, the project goal was to develop an exhaust with a significant power increase unlike the ordinary mufflers. 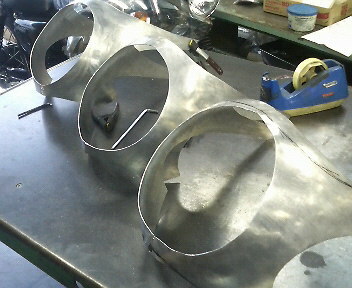 So we looked for a new muffler structure for a reference. We found out that the modern equivalent of sports single cylinder motorcycle would be a motard type. The motard type is the fastest new generation motorcycle with single cylinder, and 4 stroke engine that is based on a motocross type chassis. WM participated in the motard race as the suspension engineer. With the knowledge gained from the motard race, we made an exhaust compatible with the most powerful single cylinder 4 stroke engine by using the 2 room inversion type silencer structure. Also, the muffler follows the WM tradition with low pitch exhaust sound. 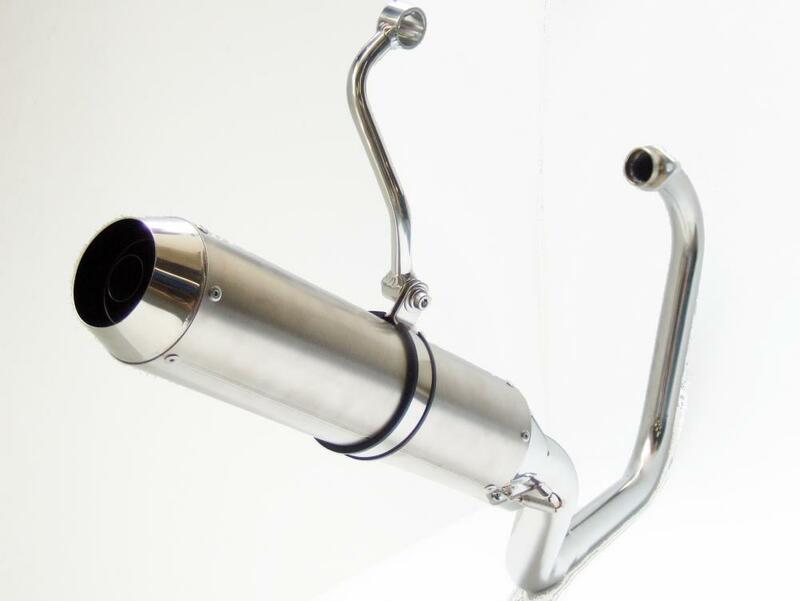 We will show you a example how this new exhaust is superior compared to the others. 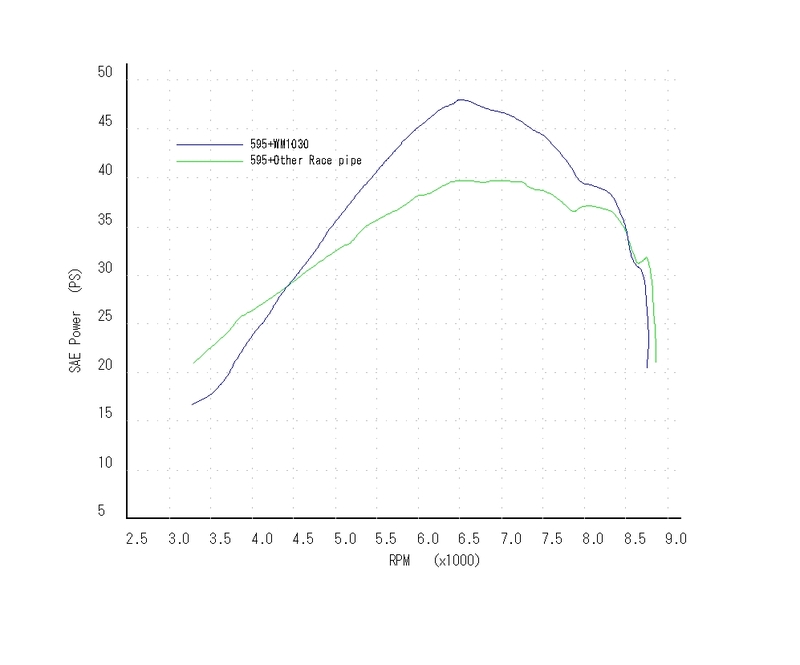 The graph shows the performance output on the dynamometer test. The test was done with the vehicle tuned for the racing exhaust. The result gave a performance increase 8PS, the 500cc tuned engine ensured the performance output of the muffler. 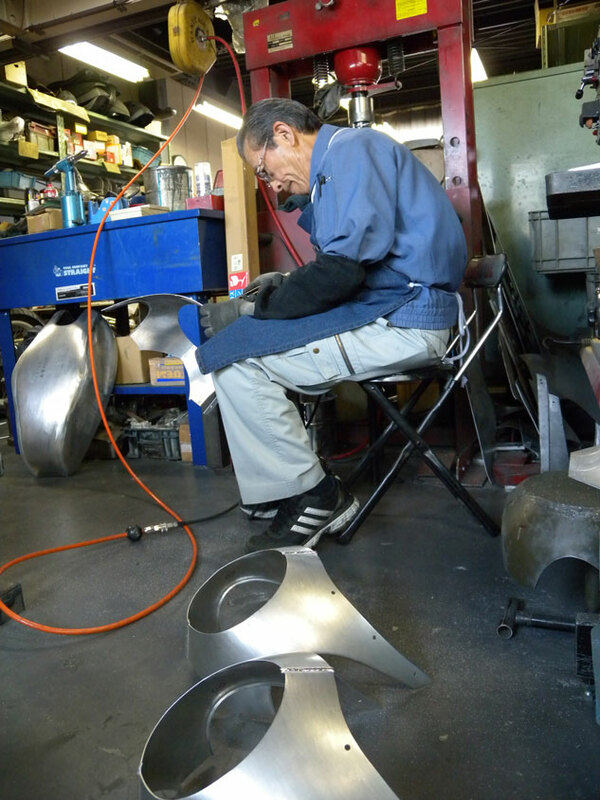 The new high street muffler will provide a higher performance output on both SR400 and SR500. 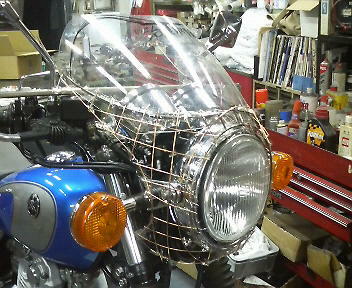 The bikini aluminum fairing was initially designed for SR400. 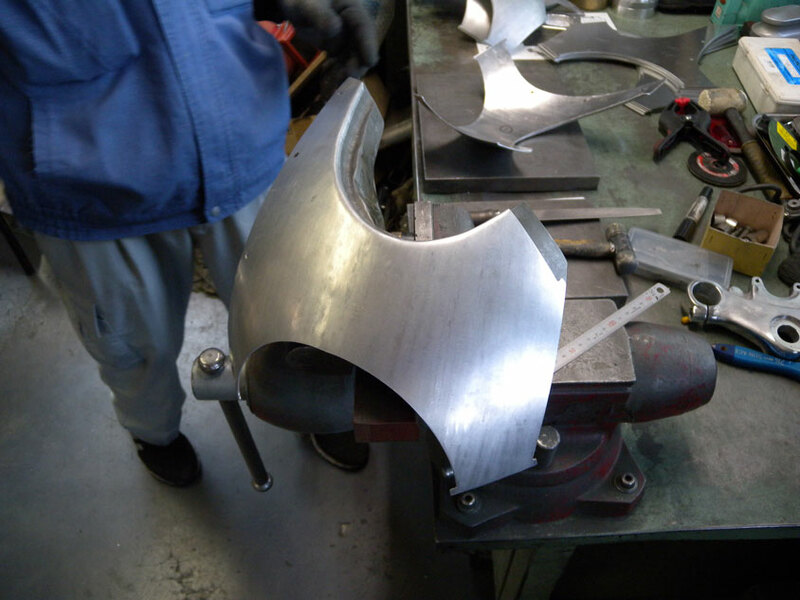 However, the fairing is made of the aluminum sheet metal and with a hammer; it could actually be adjusted into any dimensions. 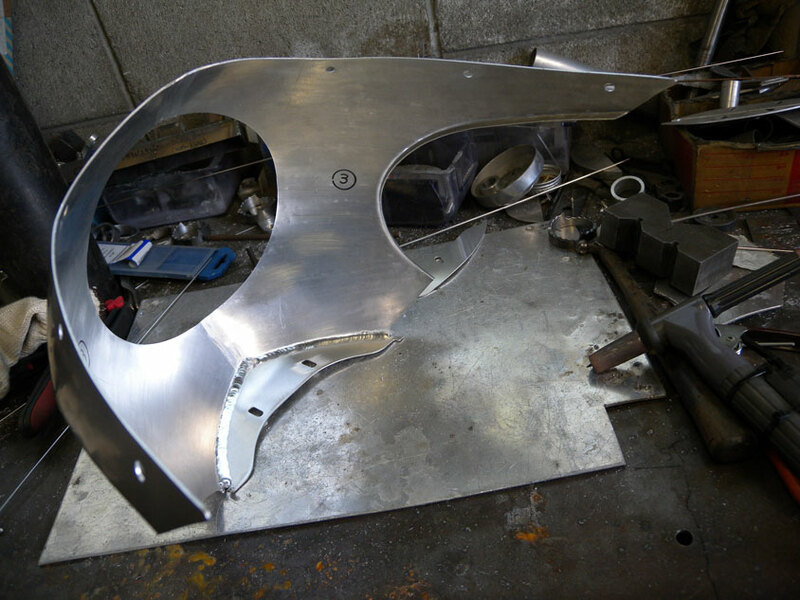 With the versatility of aluminum sheet metal, the fairing was experimentally adjusted to fit with W, CB, and single cylinder 250cc motorcycles. 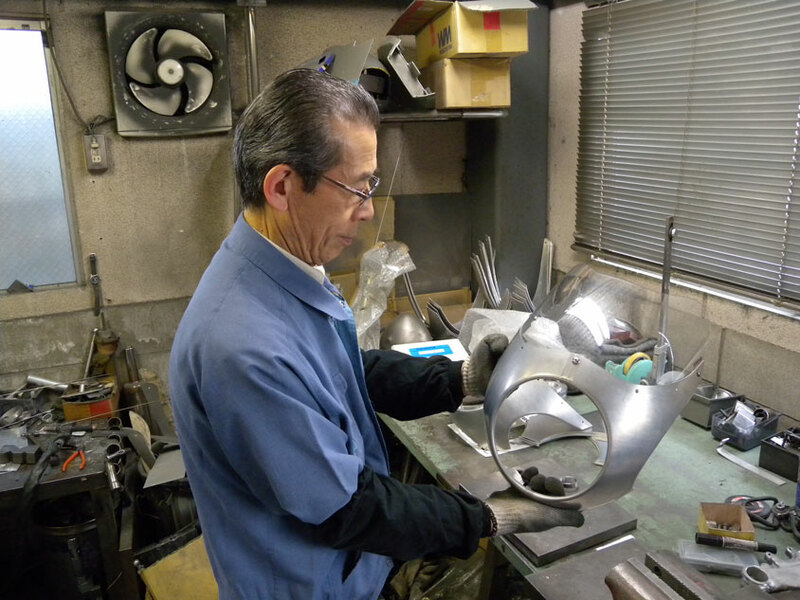 Most of the customers ask us “how did you guys make this?,” since most of the documents are gone, we will roughly explain how it was made. Back in the past, we were testing the CR(FCR) carburetor with TPS equipped. After the setup was done, we were testing the motorcycle beyond 100 MPH. 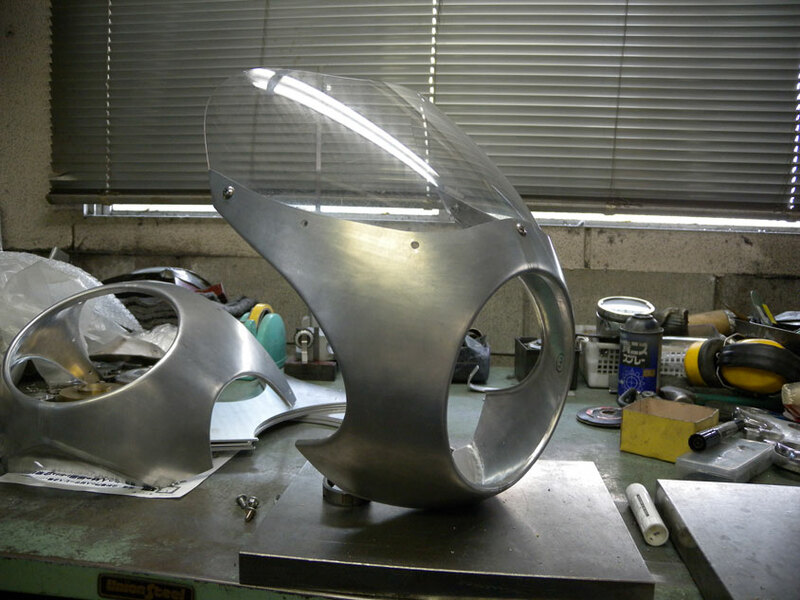 On motorcycles, the air resistance gets intense after 60 MPH and the rider thought “I want a fairing that can resist the wind.” The test motorcycle emphasized on the stock form, so the fairing design was based on the stock configuration. 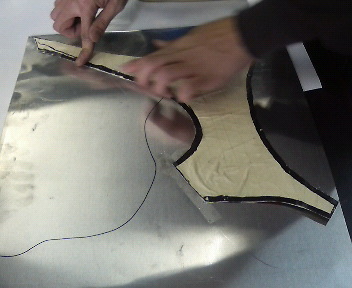 With the outer dimensions of the fairing being absolute, the designing starts from configuring the wind screen location. 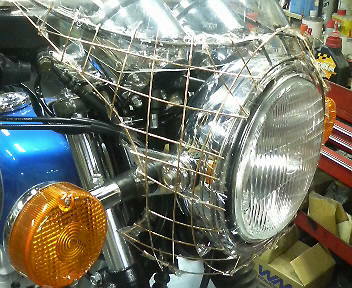 The external form of the fairing is constructed from the wire frames adjusted with the headlight’s diameter. 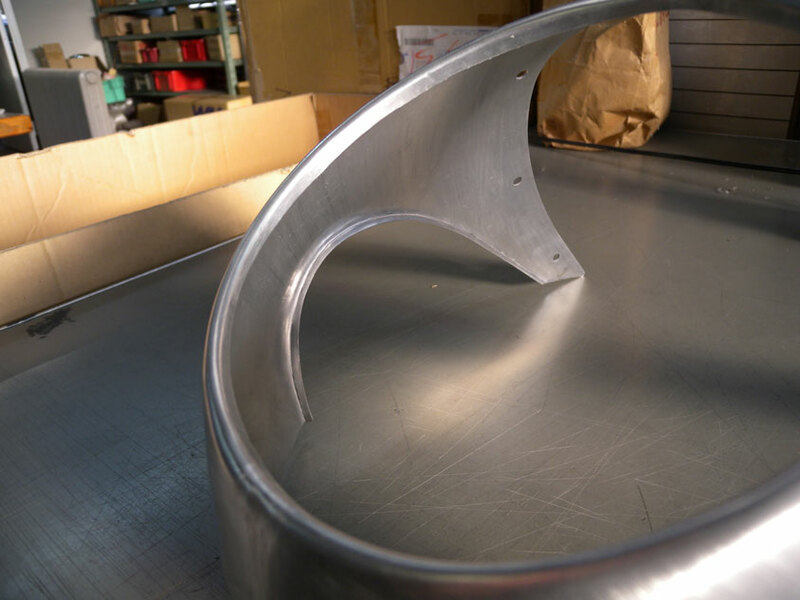 With a form of a fairing in an imagination, we examine the line of the curve that is physically possible with materials used to make the fairing. 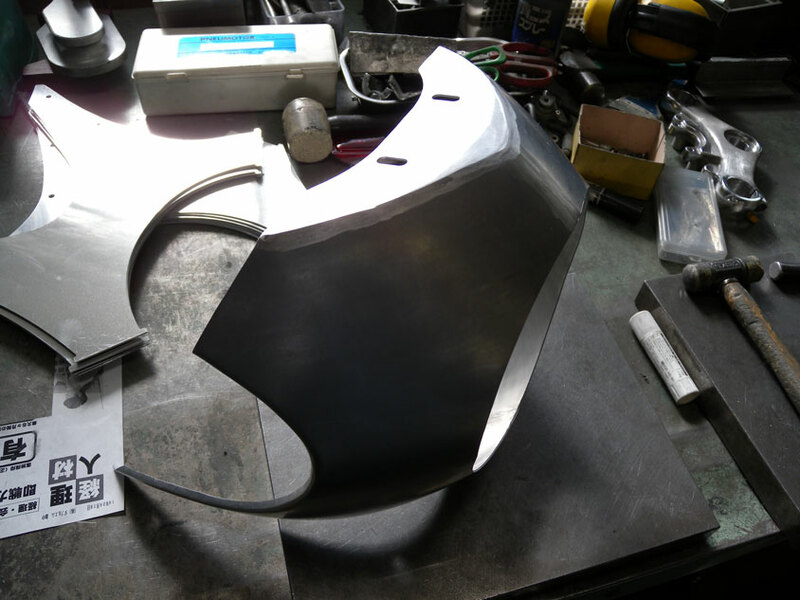 The first step of making the prototype is to make the mold pattern for the fairing by using an aluminum sheet. 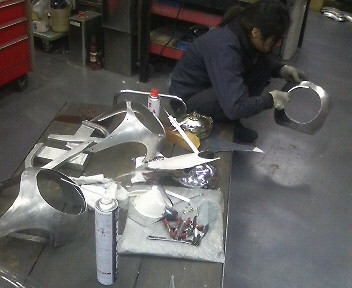 This is a difficult task; the fairing is shaped by hammering the aluminum plate stretching material itself. With lots of experience, the adjustment for aluminum sheet was made quickly with short amount of time. 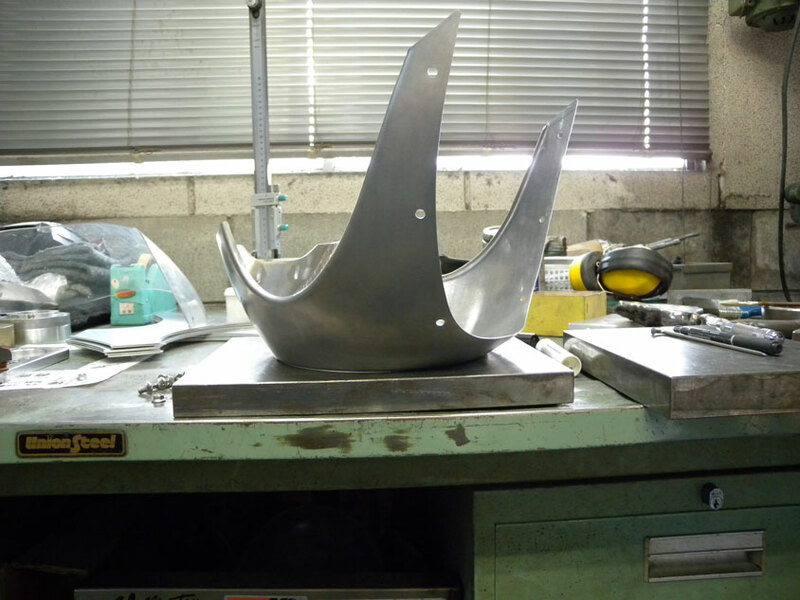 The prototype is made by repeating the experiment and correction of sheet metal. 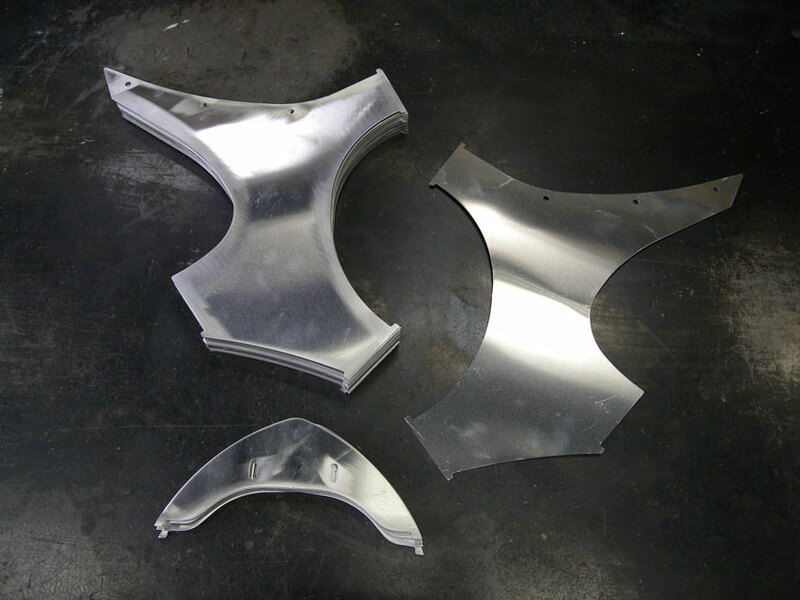 The sheet metal working is originated from coach builders from Europe and US. Europe is famous for building super cars using sheet metal working. 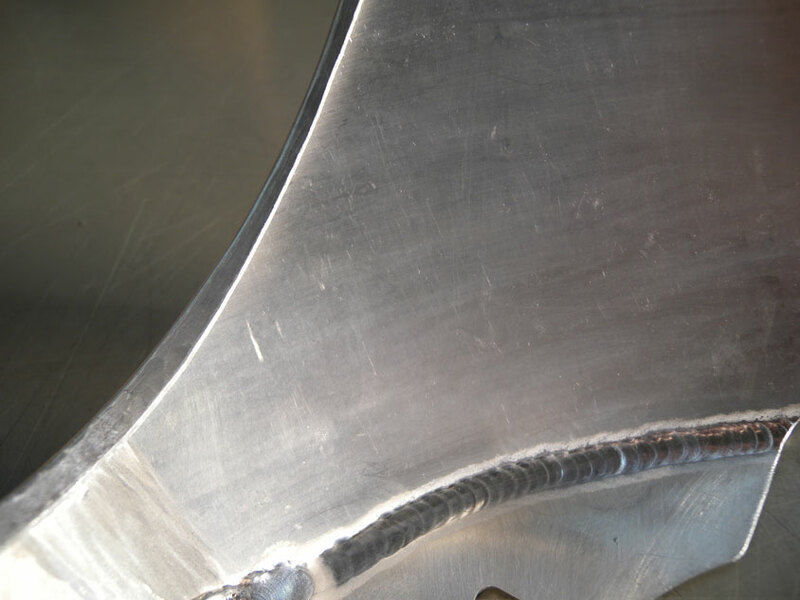 US is famous for using sheet metal workings for hot rod and choppers. 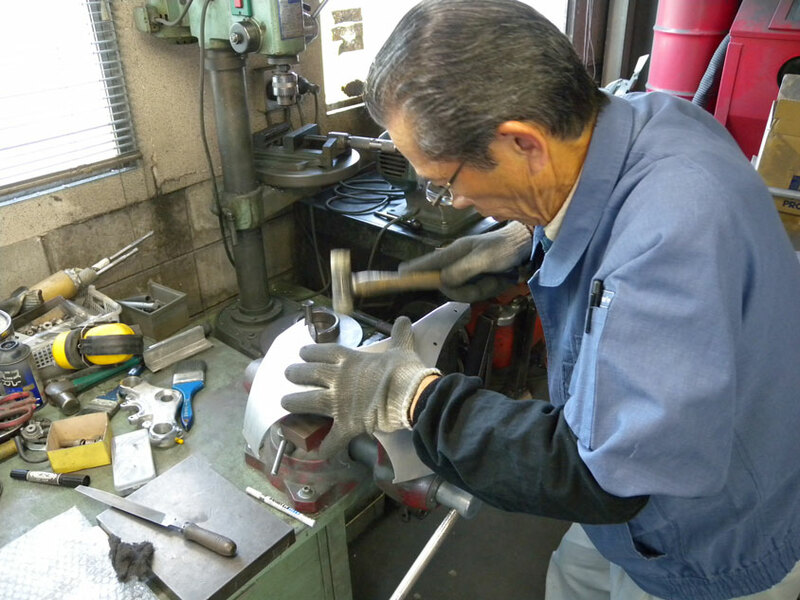 Based on the techniques and tools from the 1960’s the body work is made by reproducing the manufacturing methods from the past. 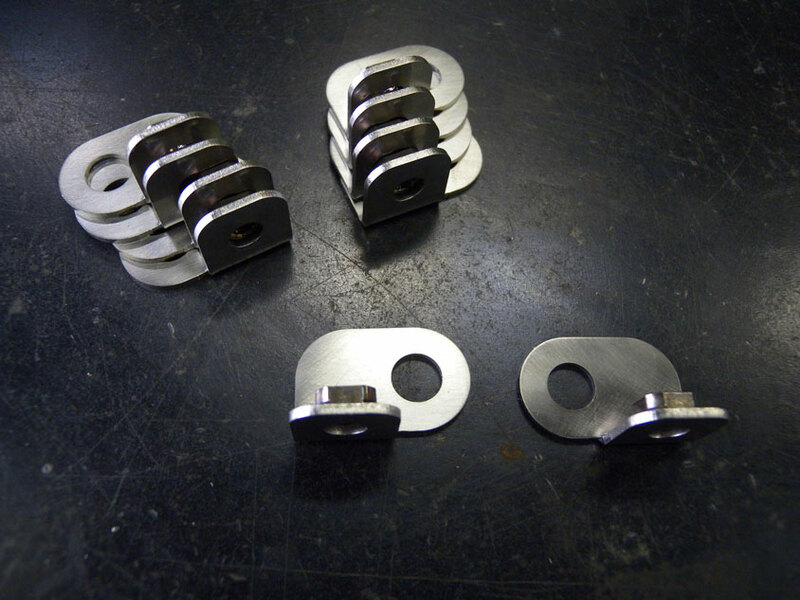 These parts are completely hand made from scratch. 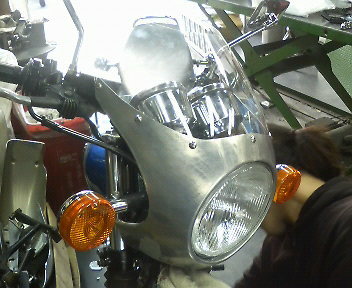 Next, we fit the prototype parts to the motorcycle. 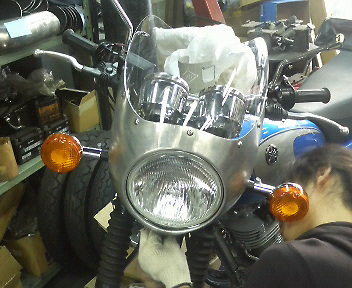 First prototype wasn’t accepted because of line between the head light hole and the screen wasn’t acceptable. 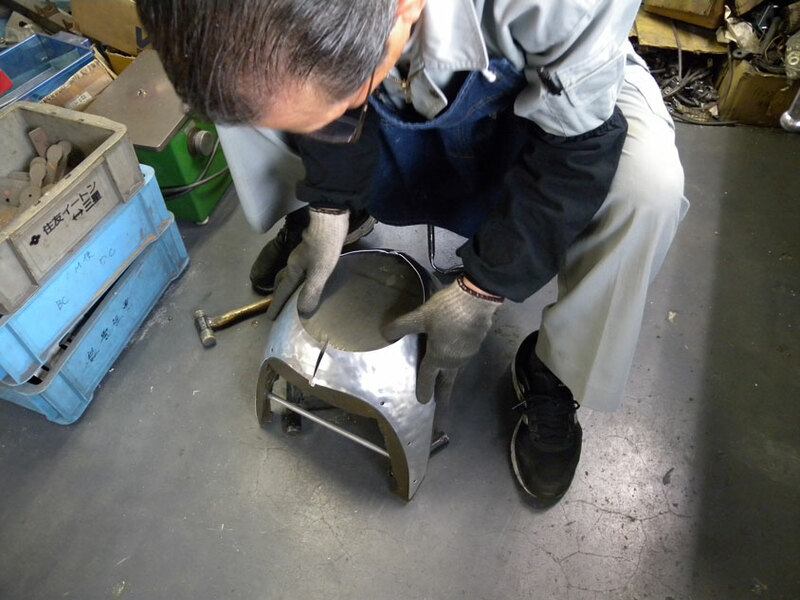 Next prototype was made by correcting 2 places. The small details were corrected by gaining more clearance for master cylinder and blinker stay. At this point there was no breakthrough, the line connecting between the head light rim to the fairing wasn’t complete. 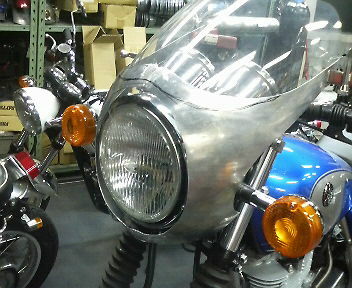 When the fairing had a compact design, the fairing rim covers over the head light rim and it looks like a one eyed monster. 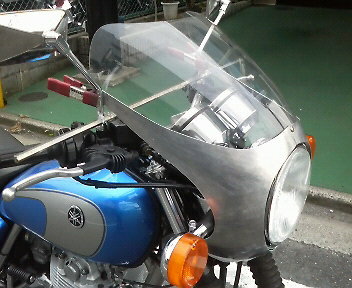 To solve this problem the fairing rim was folded inwards to fill in the space between the head light and the fairing. 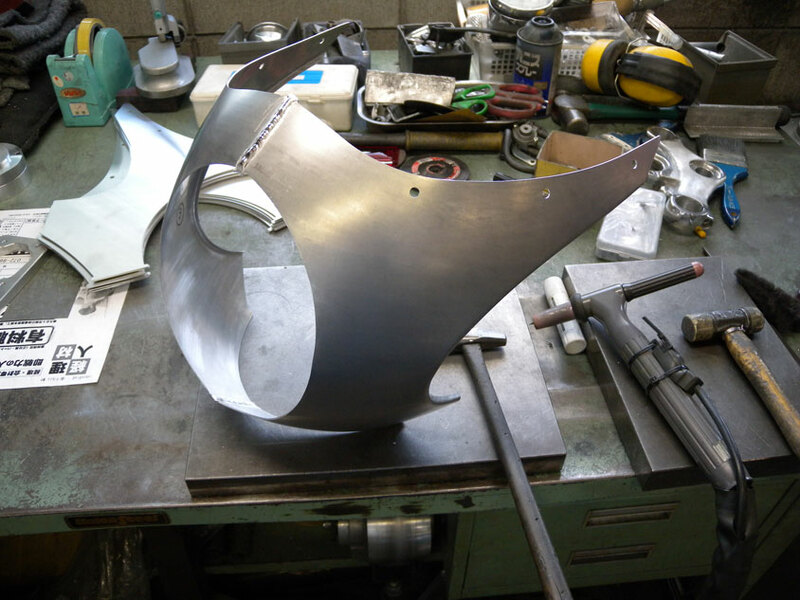 With the fairing folded inwards, the smooth curve between the head light and fairing was made. This design allowed to solve problems with the light leaking inside the fairing and increased the durability of the fairing itself. Having the light weight fairing, this allowed the stay and mount to be lighter. This fairing was made with many ideas compressed into one item. The final model is finally complete. The picture above is a complete fairing beautifully processed around the head light area. 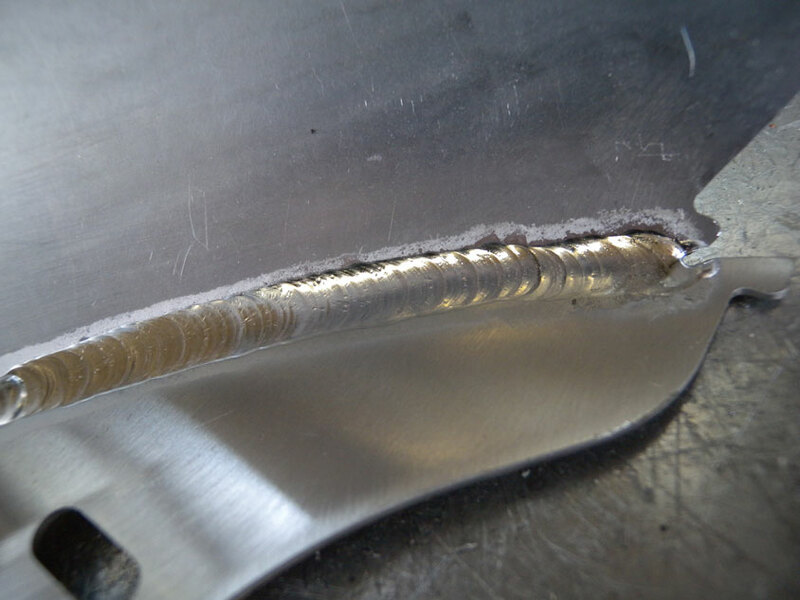 The side’s notches are processed with metal sheet workings and draw a curve around the front part of a vehicle. 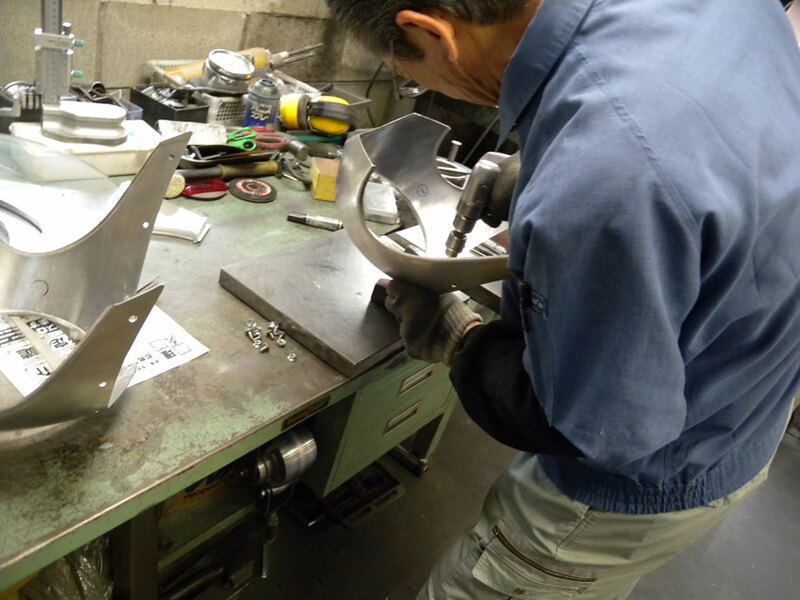 Lastly, the mount stay is produced for the fairing. 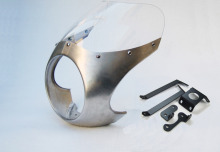 The mount stay is designed with simplicity and functionality in vision to match the fairing. 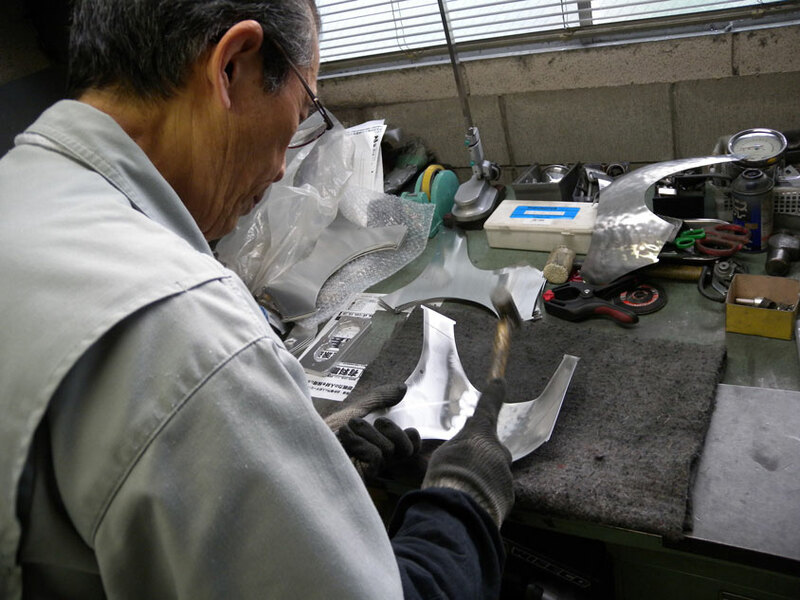 This roughly covers the process of the aluminum bikini fairing being designed and turned into a product. I hope this answered your questions. 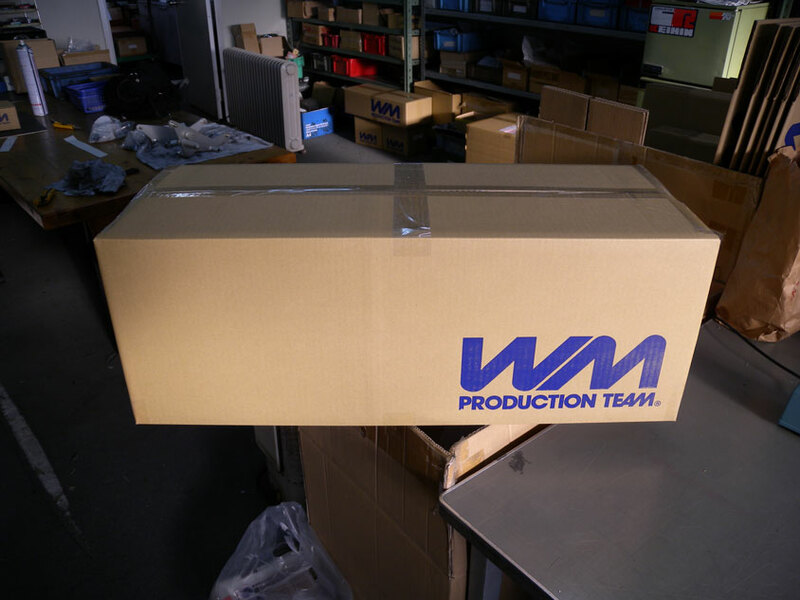 Most of these parts are hand made within the WM factory. Copyright © SR500/400 W650/800 BJ250 TU250 CB1100…　etc All Rights Reserved.